CRFM, in collaboration with UNU-FTP, convened a 3-day Workshop to review the status of statistics and information management, and to make recommendations for strengthening capacity for improved performance by CRFM States in the future. 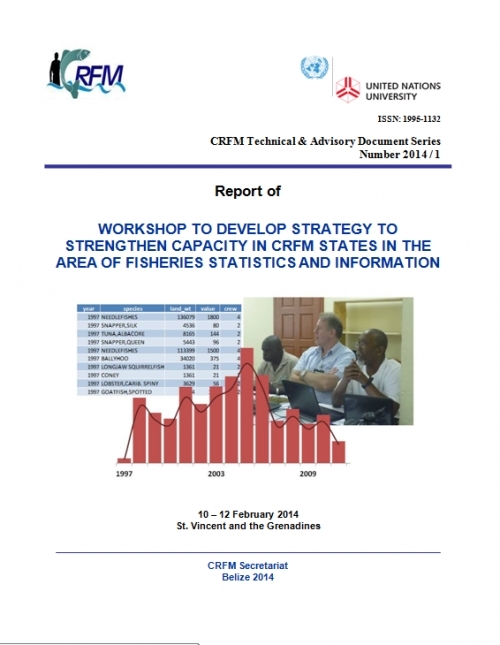 The Workshop brought together a group of national, regional and international fisheries experts, working on various aspects of statistics and information management. Workshop discussions were informed by a number of working and reference documents, as well as oral presentations covering, inter alia: consideration of CRFM legal, policy and institutional framework; developments and performance of various CRFM and CRFM/UNU-FTP initiatives in statistics and information, including training courses, annual scientific meetings, CRFM technical working groups, and use of databases; the typical characteristsics of current national statistics and information systems; evolving demands in terms of management advice; data analysis options for limited data situations; and incorporation of ICT tools.